Digital Crafter has announced that Fight of Gods will release on Nintendo Switch this month, their explosive 2D fighter in which Gods, holy spirits and mythological characters from around the world clash. 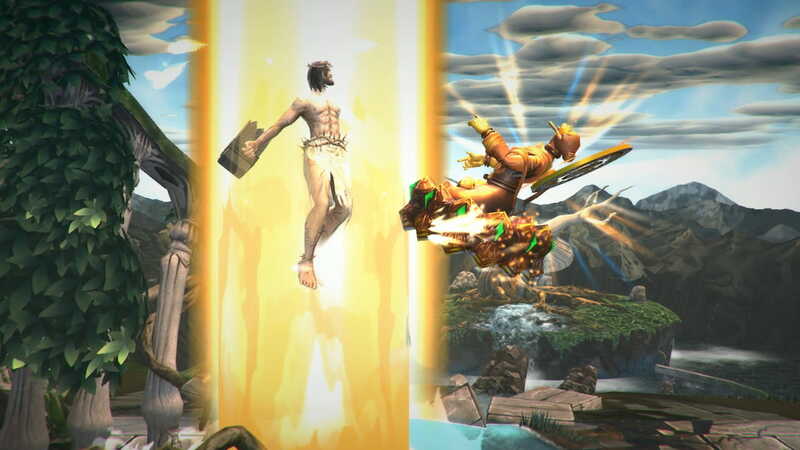 With a character roster made up from Jesus, Buddha, Moses, Zeus, Odin and others, the religious and mythological figures battle it out with ancient magic and divine powers on stages like Mount Olympus and the Garden of Eden, as players trade punches using a four-button fighting system. The Nintendo Switch port will include the leader of the Valkyrja, Freyja, who has been released as downloadable content since the game first released. Fight of Gods will release on the Nintendo eShop for Nintendo Switch worldwide on January 18th, priced at £11.29 ($12.99).